A HUGE thank you for everything you did to make our dream wedding come true! Our event would not have happened without your efforts and contributions. I cannot begin to describe your professionalism and excellence. The food was outstanding! Our event was an absolute success. I give you an A+!!! I heard nothing but positive comments. The food and the service was excellent. Everything was absolutely super! Great location, great meal and great staff. 100% satisfied and we will use your location again in the future, and have been promoting your site to our friends/family/ & clients! The combination plate was delicious. 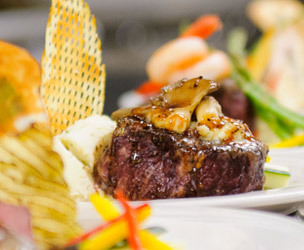 I heard positive comments from guests about how prompt the staff was serving and removing food. The bartenders were also always one step ahead. Thanks for the 1st class hospitality!! Our event would not have happened without your efforts and contributions. I cannot begin to describe the professionalism and excellence in which you treated us and presented the event. The food was outstanding! We wanted to officially say THANK YOU for all your work to make our wedding reception a memorable experience. We absolutely loved the setting of the room. And the food, as always, was amazing. You are the best! The food was amazing and so was the service. I will definitely recommend your Event Center in the future to others!! I couldn't have asked for a more beautiful evening!!! We could not have been more pleased with everything! The room was beautiful and the food delicious. We just wanted to officially thank you for helping us make our event a success....we continue to receive comments about the venue and food. Know we will be back next year! Thank you again for your expert handling of and outstanding support for our 30th Taste of the Town culinary event! Throughout the day, evening and into the next day we experienced nothing but excellence and superior customer service as we planned, set up and conducted our event. It is always a pleasure to work with the Rochester International Event Center. Whenever we hold our event at the Rochester International Event Center we know they will help make our event a success. They keep us coming back every year. Thank you so much to all of your staff who helped make our day so special. Your venue is absolutely gorgeous and the food was fantastic. We believe our experience was worth every penny! They say a picture is worth a thousand words. Here’s the place to get inspired for your upcoming event! New ideas to freshen up breakfast, lunch or dinner. Make a lasting impact on your guests. 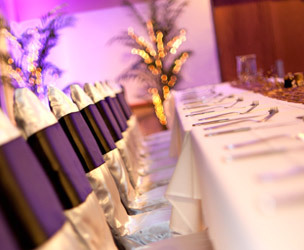 Enhance your special event with our elegant decorations options. 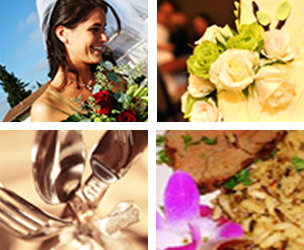 As one of Minnesota’s largest and most experienced caterers, you can count on Rochester International Event Center to provide you with the highest service, flawless attention to detail and unforgettably delicious food experiences that will ensure the most memorable day for you and your guests. Just got engaged? We would love to help with your big day. We look forward to working with you with all the way from "YES" to " I DO"! Our number one goal is customer satisfaction and we have many different packages to make you wedding day a dream come true. Contact our sales team today to get information and dates.